Is Horizon Solar Right For You? FInd Out Now! Is Horizon Solar Power The Best Option For Southern California? When the temperature reaches triple digits, you need help with that power bill. Californians have it pretty easy. Between the beautiful views and year-long sunshine, what could there possibly be to complain about? Hmm… how about the 50% increase in your power bill during the six months of the year when you actually need to use your HVAC (heating, ventilation, and cooling) system? No, that’s not hyperbole. In June of my first year living in San Diego, I called the power company to politely inform them that there was a mistake on my bill. “I haven’t done anything different, but it’s almost $50 more than usual,” I told the customer service rep. She politely responded that the jump in my bill was due to the increased rate since it was now the “high season”. The high season in San Diego is from May through October, but the exact timing varies from county to county. During the six months when the temperatures can reach triple digits and our beloved sunshine feels like a fiery burden, Californians certainly have something to complain about: sky-high power bills. California residents aren’t the only ones to see huge disparities between winter and summer power bills. Last year, 2016 usurped 2015 as the hottest year on record globally. Can you guess which year was the hottest before 2015? Yep, it’s been three years of record-breaking, sweat-inducing temps, so air conditioning isn’t so much of a luxury as a necessity. You can lower your bill by improving your conservation efforts. In addition to unplugging appliances and turning off lights, look into alternative energy generation. Whether that is a solar powered oven or a solar water heater — you have options. Conservation should always be on the forefront of your mind, but your best bet to save cold hard cash on your energy bill is to install solar panels on your home. With so many options, it can seem impossible to choose, so we talked to Horizon Solar Power for an inside look at what makes this local company stand out from the rest. Horizon Solar Power has been serving California since 2008, and while the regional company doesn’t yet have the brand recognition of SolarWorld or Trinity Solar, they are still ranked as one of the region’s top energy companies. In fact, they ranked five on the Solar Power World’s 2016 Top Solar Rooftop Contractors — beating out much bigger companies across the US. How does a company with 650 employees compete with giants like Vivint Solar, which has 14,000 employees? Chief Marketing Officer Geri Green believes it comes down to a few things. Where Is Horizon Solar Available? The regional approach is an asset for Horizon Solar’s customers because they are laser focused on how to help Californians. Whether that is state specific laws or tax breaks, Horizon Solar gets California. 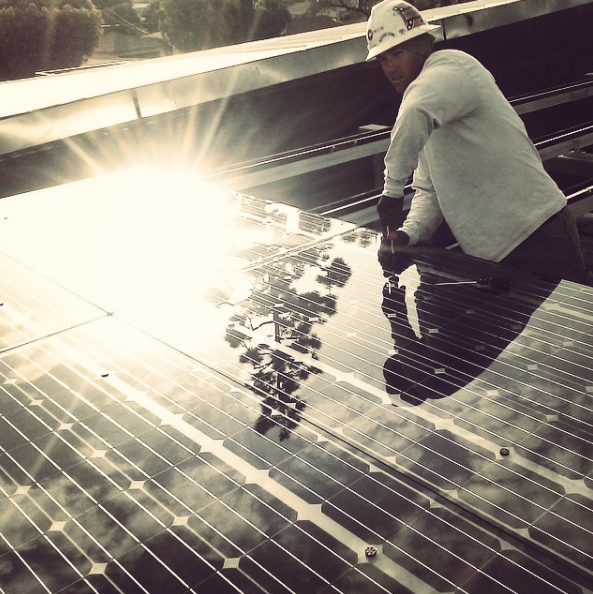 As the largest solar rooftop installer that strictly operates in California, Green says that the team prides itself on knowing how to get any California resident the right system installed correctly and quickly. How Much Do Horizon Solar Panels Cost? “Your consultant will talk to you about all the ways you can pay for your Solar System. Are there tax advantages you may want to take or are you preferring a no money down option? Based on really learning what your personal needs are – the team will design a system and payment option just for you. Many companies offer these options, but the local approach and expertise of the Horizon Solar team may help you navigate the fine print faster than a provider that operates across the country. Are There Added Benefits To Horizon Solar Power? The Temecula-based company has received accolades from Solar Power World, GTM Media, and was recently notified that they will be honored with the 2017 Customer Service Leadership Award from Frost & Sullivan for Best Practices in the area of Customer Service. Is Horizon Solar Power Right For Me? 2017 is already flying by, so if you’re looking to get solar installed by this year’s high season, then you should get started now. If reading about Horizon Solar Power simply introduced more info than you know what to do with — don’t worry — there’s an easy way out. Instead of calling each one of the seemingly never-ending solar providers to find out their installation prices, warranty details, and coverage maps, leave it to the professionals. If you want to do more research before calling, then check out more information from GreenFuture. We have comparisons between big players like SolarCity vs. Sunpower and more in depth details about the lesser known, but highly competitive local companies like Horizon Solar Power. "Horizon Solar really is only interested in one thing: YOU want to go Solar."